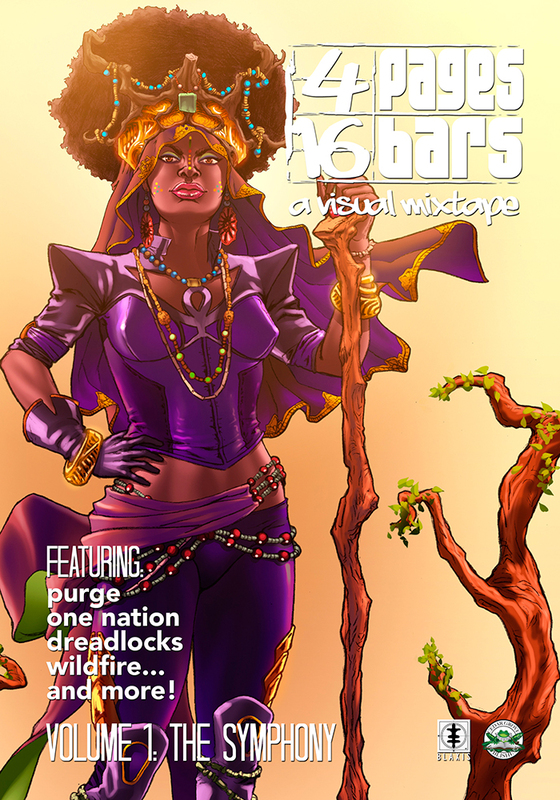 The 4 Pages | 16 Bars: A Visual Mixtape trade paperback series is a celebration of where true diversity exists in this industry, a sampler for potential fans to enjoy unique intellectual properties, a showcase for existing and upcoming talent as well as a source guide for those fans to purchase these books. The contributors for this first volume include Quinn McGowan (Wildfire), Micheline Hess(The Anansi Kid’s Club), Roosevelt Pitt (Purge), John Jennings (Kid Code, Black Comix) and many more. Each of the artists and writers in this series bring a unique, but shared viewpoint, in the creation of their work. The comic book industry is more than DC or Marvel. The scene is more diverse than Image or Dark Horse. This is visual Jazz, Rock, Funk, Hip Hop and electronic music. This is art for the people.